Your personal license provides access to an unlimited list of remote computers, without additional fees. DeskRoll works on tablets, desktops, laptops, smartphones, etc. You only need a browser and an Internet connection to connect to your remote computers. All connections are secured via SSL and propritary DeskRoll security mechanisms. Connect to remote users working on Macs, connect to computers from your Mac. Unattended access for Macs is on the way. DeskRoll is 3-5 times faster if you access your account through Chrome or FireFox. Securely control remote computers from Windows, Mac or Linux. Access remote desktops from Windows, Mac or Linux. A small component has to be run/installed on the remote computer only. Use IM chat. Exchange instant text messages with your customer prior to or during a remote support session. Send and receive files. Send files to the remote computer and retrieve necessary files from it, in just a few clicks. Get remote system info. Get detailed info about the remote computer in just one click, without starting any programs: operating system info, running processes, installed hardware, drivers and software. Manage remote session statistics. Check, filter and download statistics about your remote desktop sessions (useful for calculating invoices for each of your customers). Work behind firewalls, proxies, NAT. If you and your user are sitting behind firewalls, proxies and NAT, there is nothing to configure. Just work the usual way. 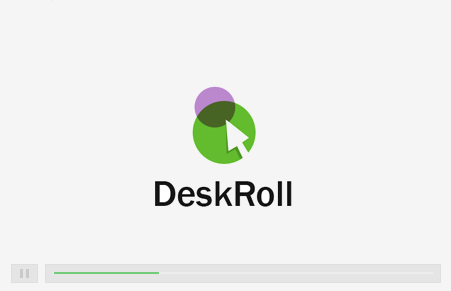 DeskRoll Remote Desktop is fit for technicians, software consultants, IT consultants and managers, system administrators and anyone who needs easy and secure remote access.